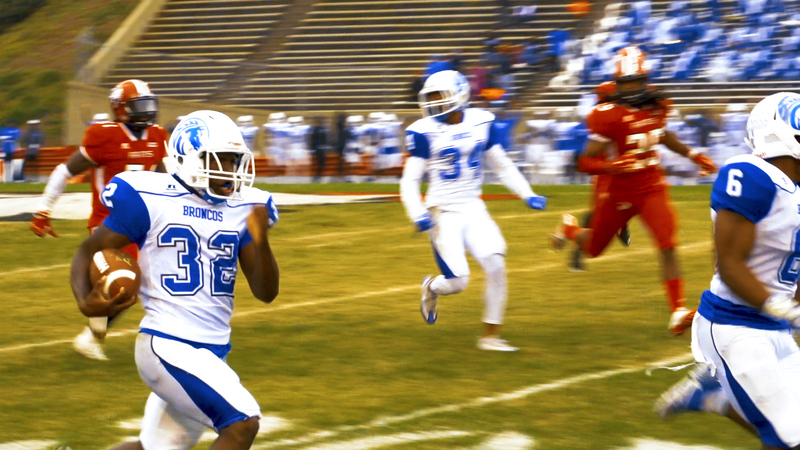 Fayetteville State and Bowie State got big time honors ahead of the big game for the CIAA title. Richard Hayes’ top priority on Saturday will be stopping Bowie State quarterback Amir Hall in the CIAA Championship Game. On Friday both men were recognized by the CIAA for being the best in their category. Hayes was named CIAA Coach of The Year on Friday after leading Fayetteville State to its second division title in as many years. The third-year head coach will seek to win his first title and the program’s first since 2009 on Saturday. He led his team to a 6-2 regular season after two games were lost to Hurricane Florence. Hall was named the conference’s offensive player of the year for the second time in three years. The record breaking quarterback completed 288 of 435 passes for 3,325 yards and 27 touchdowns during the 10 games of his final regular season. Shaw’s Devon Hunt was named the conference’s defensive player of the year. He led the conference in tackles with 98 and recorded four sacks. Joining his head coach in league honors was Brandon Smith, who was named the CIAA Special Teams Player of The Year. The sophomore returned three kicks for touchdowns for FSU. Bowie State’s Joshua Pryor was named the CIAA Defensive Rookie of The Year. He finished second in the CIAA with 9.5 sacks. Winston-Salem State quarterback Dominique Graves was named the conference’s Offensive Rookie of The Year. He led WSSU to a 4-1 record as a starter.